In the beginning God spoke to man. He spoke through His prophets to man. In the end God spoke to us. He spoke through His Son, the living Word. Today God continues to speak.. He speaks through the Word of God. The written Word of God and the the living Word of God: the Scriptures and the Christ. 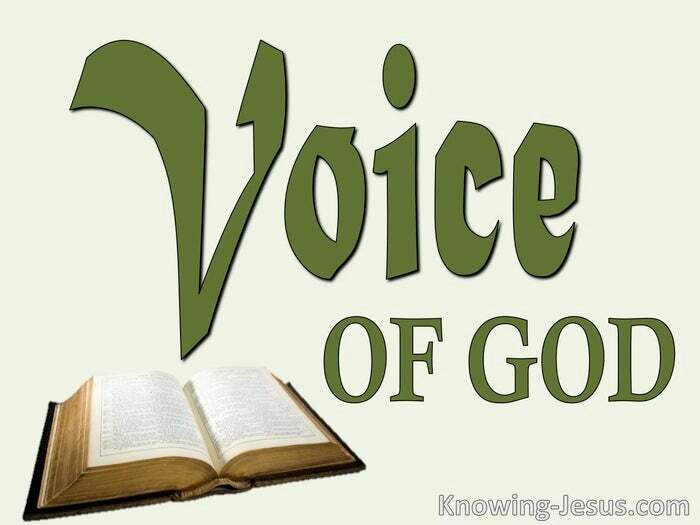 Yes – today God communicates to His children through His written and living Word – for the Spirit of Christ is He that dwells within the heart of the believer, and He commands us: Love: “love in the same way that I have loved you“. Abide: “abide in Me and I in you“. Believe: believe in the Name of the Lord Jesus and have faith in His Word. Trust: just trust in His love. And He commands us: Watch and pray that you enter not into temptation. Live by faith and not by sight and don’t get embroiled in signs and wonders. We live under grace and not under the law.Be faithful in the place that God has put you. Be faithful to the point of death. Humble yourself under the mighty hand of God. Give your life as a sacrifice.. a sacrifice of prayer and praise. Give your heart as a sacrifice.. a broken and contrite heart, He will not despise. This world is not our home but a preparation for the ages to come. Beware of false doctrine – wolves that come to you in sheep’s clothing. Recognise the increase of the doctrines of demons prevalent in the church today. Magnify the Lord with me and let us exult His name together. Consider humility. Consider Jesus. Consider His return. Be an overcomer – and overcome in the world the flesh and the devil. Live the life of a spiritual man – put off the carnal lust of the flesh. Look at your position in Christ – not the condition of your circumstances. Prepare your heart for the Lord’s return is near – at the very door. Keep your lamps trimmed, and be filled with the Spirit. Understand what scripture says about these end times in which we live. That we prepare our hearts for his soon return. That we allow the Spirit of God to examine the inner recesses of our mind. That we submit to the chastening of the Lord. That we rid ourselves of self and cry: Thy will not mine be done.. 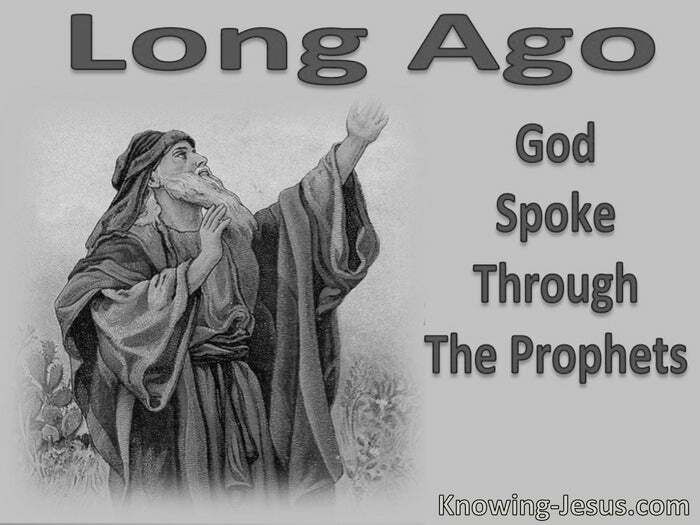 In the beginning God spoke to man by His prophets, but today He speaks to us through His Word. He speaks through the living Word and He speaks through the written Word.